Off-colour VfL Wolfsburg are in serious need of a pick-me-up against 1. FSV Mainz 05. VfL Wolfsburg go in search of their first win in four matches when they welcome Bundesliga entertainers 1. 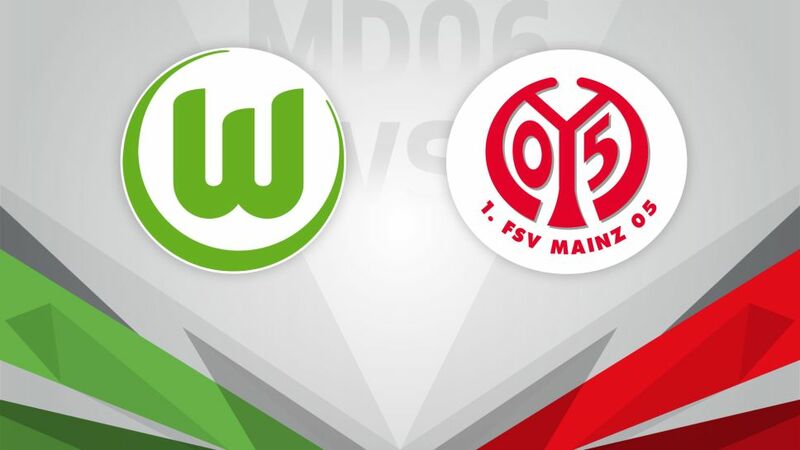 FSV Mainz 05 to the Volkswagen Arena on Sunday (kick-off 18:30CEST/16:30GMT). Wolfsburg kicked off their campaign with a 2-0 victory at Augsburg, but the Wolves have failed to win since. Goalless draws with 1. FC Köln and TSG 1899 Hoffenheim were followed by defeats to Borussia Dortmund and SV Werder Bremen, a sub-par run of form that leaves Dieter Hecking's side closer to the relegation zone than the European places. UEFA Europa League participants Mainz have fared only marginally better in their pursuit of a second successive season of continental football. The 05ers have two more points on the board than Saturday's hosts thanks to wins over FC Augsburg and Bremen and an avoidable draw with TSG 1899 Hoffenheim, but begin the weekend having shipped the second highest number of goals in the Bundesliga after five matches (11). Wolfsburg are currently averaging 25 shots per goal.Wolfsburg are unbeaten in their last three home matches against Mainz (W2, D1).At just 22 years of age, Wolfsburg's Maximilian Arnold is in line to make his 100th Bundesliga appearance.A league-high 23 goals have been scored in matches involving Mainz so far this season.Mainz have scored 32 goals against Wolfsburg, more than against any other club.Mainz have secured six of their seven points away from home in 2016/17.